The "Wildflower Capital of Texas" offers a great variety of things to do from shopping, entertainment, outdoor recreation, and much more. The demand for Temple TX homes for sale is growing with its increasing economic growth, the nations' real estate markets bottoming out, and the increasingly popular $8,000 dollar home buyer’s tax credit. Right now is the perfect time to buy Temple TX homes for sale at some of there lowest prices in decades, as well as the interest rates at their lowest in years. Temple, Texas offers a great variety of recreation from Lake Belton, with over 135 miles of coastline just minutes from downtown, perfect for water sports like boating, fishing, and swimming; to amazing golf courses like Sammons Golf Links, Wildflower Country Club, Mill Creek Golf Club, and many more all in close proximity. Kingdom Properties can assist you through each step of the buying process; from finding the perfect properties to financing and closing. 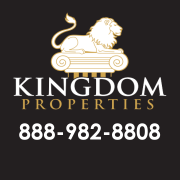 For Sellers of Temple TX homes for sale, Kingdom Properties offers and aggressive marketing strategy to sell your home as quickly as possible and get you the best price negotiable for your property. 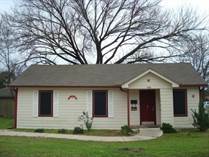 Below are some featured homes for sale in Temple Texas. If you don't see what you're looking for, please use our MLS Search to view all Temple TX real estate listings. "FABULOUS 2009 PARADE OF HOME"
"SOME MANY UPGRADES FOR THE PRICE"
"GREAT PRICE FOR THE SIZE OF HOME"